All prices are including post & packaging. 'Moon Drive' will be upgraded with a second disc and the whole release will containing over 60 minutes of bonus material including demo's and live tracks. The releases will be packed in a re-designed digipack to give it a final deluxe look! First studio album – recorded at the end of 1996, released early 1997, re-released June 2003. "…this is music that you can play many times over. The slow, incredibly pure guitar solos rank with the very best of the David Gilmours, the Joe Satrianis, the Steve Hacketts, and – yes – the Andy Latimers of the world. Highly recommended." 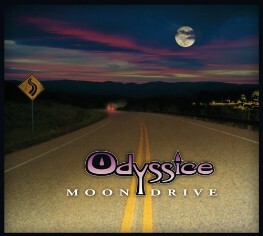 " … Moondrive proved they are a one of a kind type of band from day one. This is a masterpiece of prog music. Highly recommended!"